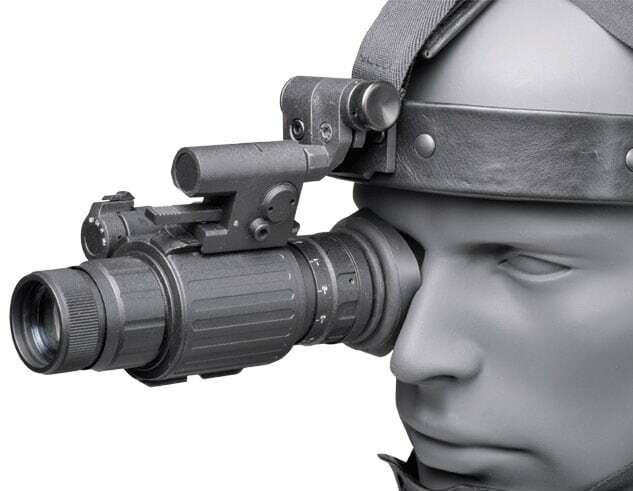 Luna Optics produce a wide range of night vision devices and accessories that includes night vision goggles, binoculars, monoculars and rifle scopes. They also manufacture a small range of standard "daylight" binoculars. Their head office is based in New York, Luna Optics have distributors all around the globe including in the UK and as far as I know all devices are either manufactured in Belarus or Russia. 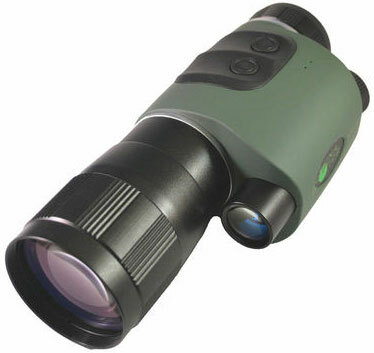 Luna LN-SB Series - Includes a compact 2.5x night vision binocular and a more powerful 5x version that can be attached to a digital SLR camera. Sturdier than a Soviet tank, these premium Luna night vision binoculars are suitable for all types night time surveillance: be that for wildlife, search and rescue or security. They are weather resistant and because the main body has been manufactured from aluminium, they are incredibly tough but also fairly lightweight (The LN-PB3 weighs 760g). All these first generation night vision binoculars in the LN-PB series work by gathering ambient light into a photo cathode light intensifier tube where the photons are converted into electrons. Electrons are then amplified and projected on a phosphorous screen that turns them back into visible light. It effectively amplifies the available light several thousand times, giving you a green-hued window into the night. If you need even more power, or if there is no ambient light from the moon and stars for example you can flip on the IR illuminator, which acts like an invisible flashlight in the night (although it does produce a red light that's visible from the front side in the pitch black dark) to brighten the view through the binoculars even more. There are two models within this series, a 2.5x compact and one a full size 5x version. 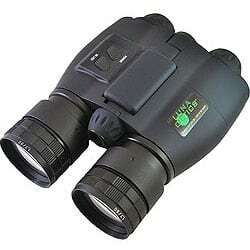 Both of which offer excellent quality of night vision for a Generation 1 device and all at a very competitive price. With many features that will be familiar to those that have used standard daytime binoculars, the 5x LN-SB50 has an inter-pupillary adjustment and individual focusing eyepieces. The unit features low-battery indicator and a built-in tripod mount allowing for extended observations, which is great for night-time nature viewing and surveillance. With large 80mm objective lenses, very wide field of view (9°), built-in IR illuminator and a viewing distance of up to 325m (1,060ft), you are sure not to miss any of the night time action. The LN-SB50 is also one of the very few night vision binoculars that can be adapted so that a standard SLR or DSLR camera can be attached to it with the help of the LN-CAS camera adapter and a standard T thread adaptor. The lightweight LN-SB25 binocular features an instant-focus optical system, which allows its user to instantly acquire objects without having to re-adjust the distance focus, while still giving you a full 20° field of view. This feature is great for hunters, watching wildlife on safari or indeed bird-watchers (nightjars and owls) enabling you to more easily spot moving wildlife. This Night vision binocular has a lightweight body and in may ways feels just like your standard "day" binocular with things like inter-pupillary adjustment and individual focusing eyepieces. The binocular also has a low-battery indicator. Luna Optics have a wide selection of night vision monoculars in their portfolio with 9 different models, so most people should be able to find one that suits their needs and budget. They range from the great value and compact SX Generation-1 monoculars to three Top Grade, Hi-Resolution Generation-2+ monoculars that boast an array of advanced features. Also included is the LN-DM50 Digital Viewer which uses the latest in digital night vision technology utilizing super sensitive CCD. Consisting of four models, this is the newest line of monoculars from Luna Optics and seem to be the replacement for the LN-SX Series. All NVM monoculars are Gen 1 devices although the two are described as having "high resolution" Gen-1 Intensifier Tubes. This line is designed for personal use as opposed to the military and security forces and come at a price that should appeal to many that want a fairly innexpensive, but portable product that they can use for home and business security as well as night time wildlife observation. Aailable with either a 3x or 5x magnification and 42mm or 50mm objectives, all come with an onboard IR illuminator and have a built-in tripod mount. Two of the higher spec models are fully waterproof. The LN-SX series contains three monoculars are Luna Optics standard Gen 1 monoculars aimed at the more budget conscious consumer, yet still offer a really high level of performance. They range in magnification from 3x to 5x. All come with a Built-in IR illuminator and are all adaptable so as to be able to attach a camera to them. Two models are weather resistant, whilst the LN-SX5W is fully waterproof. With a 3x Magnification, this night vision monocular uses Generation-1 technology and features a compact, lightweight and water-resistant design with a high quality optical system, which allows for close-up focusing and more precise adjustments on any viewing distance. The device can also be adapted to be used with SLR cameras with the LN-CAS camera adapter system. 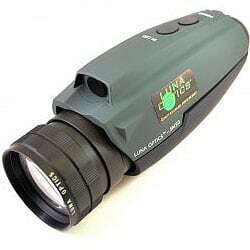 Read the full Luna Optics 3x50 LN-SX3 Monoculars Review. 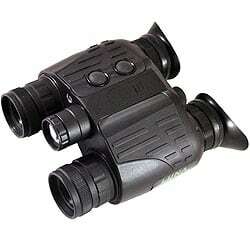 This monocular also uses Gen 1 night vision technology, but features a more powerful 5x magnification. One-touch controls and light indicators provide user with visible power and IR illuminator working indication. The device can also be adapted to be used by SLR cameras with the LN-CAS camera adapter system. Same as the standard SX5, except this monocular is fully waterproof and is designed to withstand exposure to rain and even accidental water splashes, an important feature for marine use, but also out in the field for all weather night surveillance. Just like the other monoculars in this series, it can be adapted to be used by SLR cameras with the LN-CAS camera adapter system. There are two models within the SM series of Luna night vision monoculars giving you the choice between 3x and 5x magnifications. Both use Top-Grade Generation-1 night vision technology and both come with Built-in IR illuminator and tripod mounts. 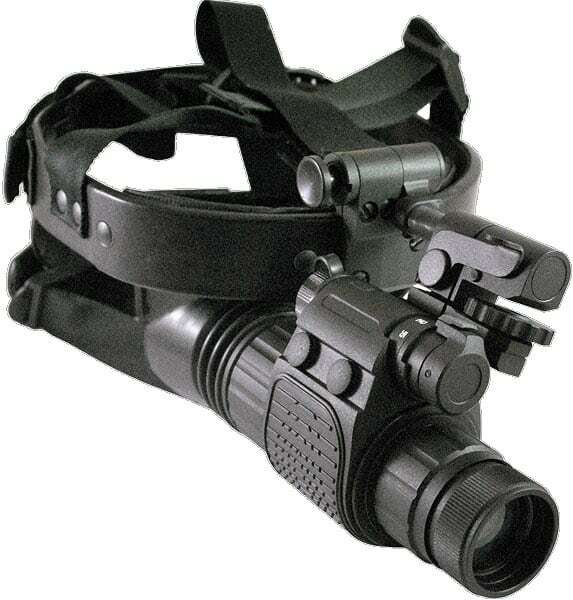 A Top-Grade Gen-1 night vision monocular that is both compact and lightweight and can easily be used one handed. It comes with a 3x magnification and top-quality objective lens that has been multicoated with coatings specifically designed for best light transmission to provide vivid and sharp images even on the darkest of nights. On top of this the built-in powerful IR illuminator means that it can also be used total darkness. The 5x magnification LN-SM50 very compact and fits comfortably in one hand and has easily reachable placed one-touch controls. 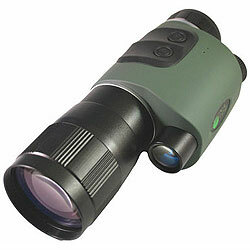 Top-Grade Gen-1 night vision technology is used and the built-in powerful IR illuminator allows use in total darkness. There are there are light indicators are on the top of the unit, eliminating unwanted glare in your eyes when viewing in the dark. Improved click ocular utilizes proven quality 5-element glass system, yet is more comfortable to use. Precision and top-quality objective lens glass has been used that has been multicoated specifically for best light transmission provide vivid and sharp images. A nice feature is the built-in tripod mount for the steadiest view over long periods. 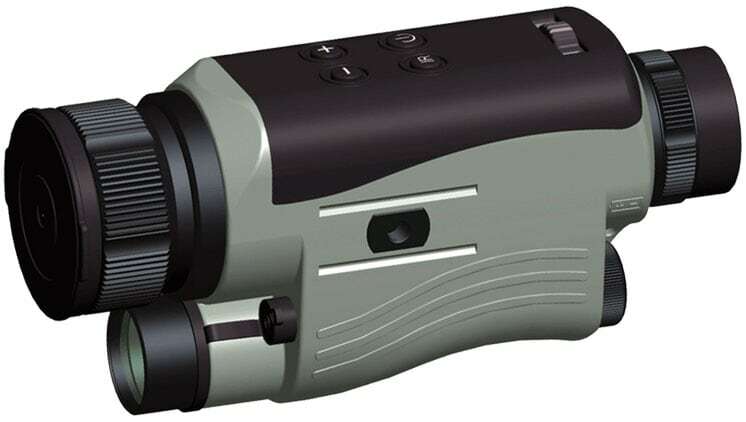 Initially there was only one monocular in this series, the Luna Optics LN-DM50 Digital Viewer, but this has recently been expanded to include the Luna Optics LN-DM50-HRSD Digital Night Vision Viewer & Recorder which not only alows you to see in the dark, but also record still images or even video of whatever you are looking at. This series is also different to all other monoculars that Luna produces because it uses the latest in digital night vision technology with a super sensitive CCD. This 5x magnification Digital Night Vision Monoculars use high quality all-glass optics and a really powerful IR illuminator that will give you a viewing distance of up to 200m in total darkness. According to Luna, this viewing distance cannot be matched with other digital products, unless you spend more than double the price. The monoculars have a water-resistant, not waterproof bodies but it does mean that you can use them in inclement weather conditions. Other features include a 4-step IR illuminator (150mW / 450mW / 700mW / 1000mW) that can be adjusted depending on the distance and ambient light conditions. These devices also come with a built-in tripod mounts for completely stable observation and comfortable viewing over extended periods and also have a video output to transmit the images onto a TV or monitor screen. These Elite series night vision monoculars all feature state of the art Generation-2+ night vision technology and many other top of the range features for excellent quality vision at night. This professional palm-size monocular/goggle system features top grade intensifier tube and complex optical system to provide beautiful images with edge-to-edge clarity. As you would expect for a top of the range device, it comes with an array of advanced features, including automatic brightness control to prevent eye strain, an invisible 905nm IR illuminator for close-distance reading in complete darkness . There is also a special tactical switch, which prevents accidental activation of the IR illuminator. The monocular is also nitrogen gas fill to prevent fogging during extreme temperatures. Folding rubber eyecup allows comfortable viewing with eyeglasses and battery compartment cover is securely attached to the body to prevent it from being lost outdoors. It comes with a comfortable head-mask with chin retention so can be used as night vision goggles. 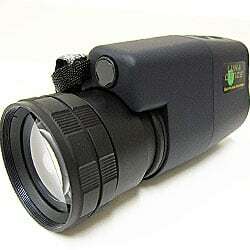 This compact and lightweight night vision monocular and operates using just 1xAA battery. It has an all aluminum body that is both water and shock-resistant. high quality optics are used with 1x real image. Because it has a magnification of 1x, it can also be used as a goggle with an optional head-mask. 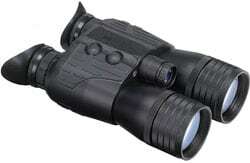 Large magnification lenses and extended range IR can also be added.